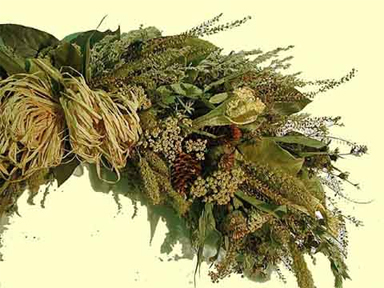 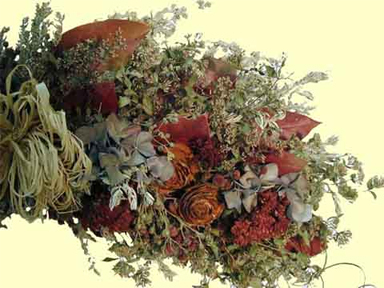 Patricia Levine uses her expertise as a master gardener to grow flowers, herbs, and grasses and combines those with wild botanicals, seed pods and cones to design unique, dried floral arrangements. 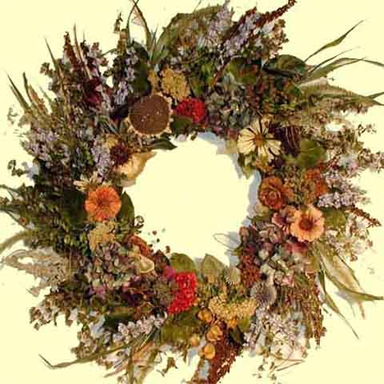 From her home in Eureka Springs, she creates intricate and colorful displays that blend textures and hues to create artistic pieces to adorn interior and protected exterior spaces. 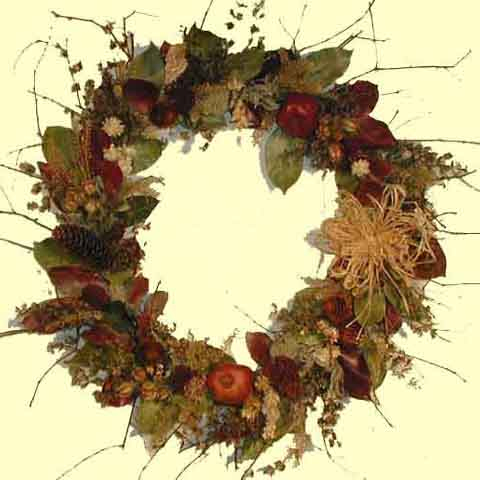 From grapevine wreaths decorated with silica-dried flowers and grasses to floral swags in various sizes and colors each piece is designed with attention to detail and attention to preserving the fragile materials that make each display unique.